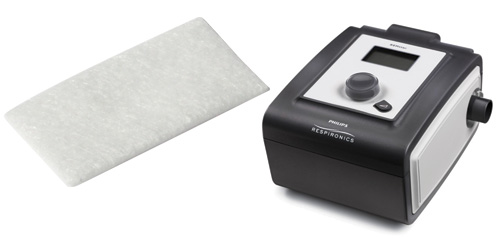 CPAP Filter, BUY Remstar filter, Ultrafine filter, CF1009NT-1, CF1009F-1. Ultrafine Filters for Remstar, manufactured by Sunset Healthcare, are filters that are comparable to Respironics Ultra Fine Filters, without the tabs. Ultrafine CPAP Filters are disposable. Ultrafine filters are an economical alternative to traditional Remstar filters. To use, place Ultrafine Filter in the side opening of your RemStar System One Pro machine. Face the textured side in. 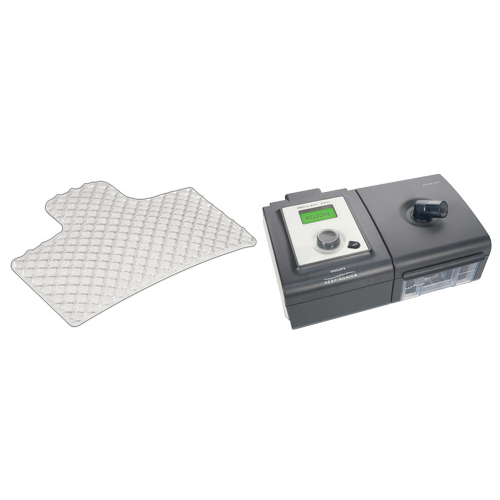 This filter will protect the CPAP patient from bacteria and allergens. Then place a larger Foam Filter on the outside of the ultrafine filter in the same compartment. The foam filter will prevent large particle contaminants from passing through. How many filters comes in a package? Our prices are on a "per each" basis because they are made only when an order is placed. There is no "pack" available for this item.